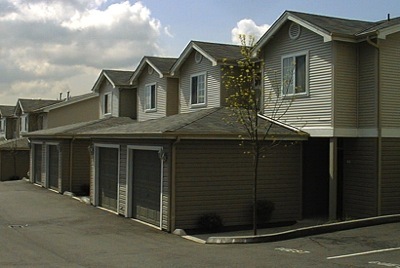 Built in 1996, King’s View Townhomes is a centrally-located, well-managed and maintained 12-unit townhouse complex. Units range from 1,255 to 1,438 square feet. Association dues include garbage collection as well as standard responsibilities such as exterior building maintenance, landscaping, association taxes, insurance, and management. King’s View Condominiums are served by Gatzert Elementary School, Washington Middle School, and Garfield High School. King’s View Condominiums are convenient to downtown Seattle, Seattle Central Community College, and Seattle University. Easy access to I-90 and I-5. © Wagner Management Corporation. Site by OhTenForty.